Takara will focus on the sure fire money makers like G1 for the MP line! BW sure got a lot of loving recently but it's still trucks over monkeys in the long run! Actually, when I said "global" I was referring to all countries outside of Japan. Which includes China and doesn't refer to the US alone, as that would be asinine to equate with that descriptive. I'm sure to people far more invested in the day to day minutiae of the toyline, there are more than trivial differences between Takara and Hasbro. However, that is none of my concern and when I say "HasTak" I refer to both of them equally. They are the only names that are synonymous with the entire series within pop culture. Now as for the out of context Gewunner BS of the last paragraph. The answer is no, Takara doesn't focus on G1 over everything else. Let's give you some facts. The Beast Wars MP line started with Primal in 2016. With Megatron's release, that will bring the mainline roster to 4. The entire cast of Beast Wars Season 1 was 14. So that would be roughly a third of the cast completed in the MP line within two years. No you could decry "Smaller cast" but that is largely a moot point. The first six BW MP figures have been four original characters and two repaint/retools. MP-38 Convoy/Primal Legendary Leader Ver. Four out of the initial six are Optimus Prime. The facts demonstrate, based on sales or popularity, one of these lines is being given preferential treatment. The other, even today, is being padded out with retools and repaints. So who has Takara's focus? I wouldn't count Lucky Draws along with normal release figures since they're meant to be super special "contest" figures so limited in quantity that they may as well not even be a thing if only a small handful of the richest folks alive can get their hands on 'em. Sabrblade wrote: I wouldn't count Lucky Draws along with normal release figures since they're meant to be super special "contest" figures so limited in quantity that they may as well not even be a thing if only a small handful of the richest folks alive can get their hands on 'em. True, but it's largely academic. The next two releases either way were another Starscream and another Convoy. The Beast Wars line also has it a lot easier when it comes to alternate modes. all the licensing issues with the MP car guys is a pain, which is why we haven't seen some made yet. But it's also confusing why they have done so few fictional cars since there are a lot of prominent fictional alt modes for them to choose from. Plus, Beast Wars continues to show that it is a very popular series. Primal won the PotP vote, Dinobot and Waspinator were the first 2 fan voted characters for the TF Hall of Fame, and they won over the likes of Grimlock and Soundwave. So to me, them starting to get rolling and do these BW MPs shows that they recognize that the BW fan base is strong and present. And that shows with how much love they have put into these figures. Dinobot is spot on perfect and far better than any previous representation. Primal himself won over so many people as the first BW MP, and Cheetor proved to be good too. They are doing a masterful job with the BW cast, and it is showing how much they appreciate the BW crowd. It's also kinda cool cause there aren't really many 3rd Party BW guys either, so it's like one original shot at this, and then boom, you never need another one ever again. oh. oh baby. oh yeeeeeees. the beast mode will probably be a panelly mess like most other BW masterpieces, but damn that robot mode. megamanfan wrote: oh. oh baby. oh yeeeeeees. the beast mode will probably be a panelly mess like most other BW masterpieces, but damn that robot mode. I'd say he's the least likely to be a mess since so many of his parts, like his legs and arms, come directly from his beast mode nearly unaltered. I'm sure they've done some interesting things with his torso, but certainly nothing on the level of Dinobot. To be fair, that is more of a Season One Maximal problem than a Predacon one. The Predacons (within the show) simply weren't designed that way. I will be looking to BW Terrorsaur with great interest however. One of the "Impossible Transformers" when it comes to show accuracy. So small? He was the second-tallest of the Season 1 Predacons before Inferno showed up. Only his toy was little. It's like Mainframe took his and Scorponok's toy sizes and switched them around for their cartoon models, making the Mega class Scorponok into the smallest Season 1 Predacon until Blackarachnia made him the second-smallest. Not focus on G1? G1 BS? 6 out of 43 are G1 (Movie series not included )in the main 43 count. Just 14% out of 100% is BW themed. 14%. 14%. 14%!!!!!!!!! That makes it 86% of Takara's main effort is on G1. Heck, even the non popular G1 bots like Inferno get first dibs in the 3D treatment over the more popular one like Jazz and it still sells! Not seeing Takara go full throttle over, let's say BW Inferno. I'm loving the MP BW efforts myself (Got big munkky ver. 1, preordered Dinobot and sure as heck gonna get Megs) but G1 will always be the sure fire sellout investment for the MP series. (Almost forgot, Starsaber is a Japancentric G1 example too.......Poll based choice which was a runaway hit in Japan!) Still G1! Takara must have those market analysts who do the thinking when plotting their next 2 years money making plan for the company. Feedback from gaijin sites like this don't matter squat unfortunately. That still bugs me, as toy Scorponok looked really good and intimidating. Whereas in the show he was a joke. The reversal does make sense though as Pterosaurs generally were quite big and Pre-historic Scorpions.. not so much. fenrir72 wrote: Not focus on G1? G1 BS? 6 out of 43 are G1 (Movie series not included )in the main 43 count. Just 14% out of 100% is BW themed. 14%. 14%. 14%!!!!!!!!! Yeah, it was mainly G1, but now they started Beast Wars, which has sold, and as I stated earlier in my response, several Beast Wars characters, such as Dinobot, Primal, and Waspinator, have proven more popular than G1 characters in several online poles. And since they started the BW MPs, at #32, there have been 5 in the main numbering system and 1 in the MP-##-something list, out of the 12 since 32. In short, once Primal hit, 5 of the last 12 numbered MPs have been BW, which does have a much smaller cast to work with, 6 have been G1, and then we have 4 confirmed movie MPs in that same timeframe. In reality, it looks like they are balancing out 3 different types of MPs, and they are doing it well for whatever reason, whether it be licensing or popularity. So while they will still do G1, they clearly recognize there are fans now willing and ready to buy MPs from other sources, and they are fulfilling that market. And they are killing it too. In the end, just how many of the BW are sure to sell? This is no Gwunner BS I speaking of unlike our very ESTEEMED ALLNEWSUPERROBOT who seems apt to fire from the hip with insults yet so easily melts away knowing his argument is as stable as Starscream's grip on the Decepticon leadership! focus on sure fire money makers. They made 3 MPs within what was it 5 numbers out of the Inferno mold, and all 3 characters made from that mold are about as memorable as any BW character. And while BW and movie may only comprise about 20% of the line, the G1 line had a 13 year head start on either of the other lines, minus the MPM leader repaints, and it has a much larger cast with both toy and cartoon stylings, so it will always be ahead in that regard. But if you start at say 32, or even 30, it is fairly leveled out. and considering they have not made a BW MP Waspinator, I'm willing to bet they will make an entire BW main cast before or right around the same time as they finish the original Ark Crew or 85 bots minus combiners and Omega supreme. You also must consider the BW cartoon did a great job of giving every single character in the show a good characterization and actually made them more than just a character model. 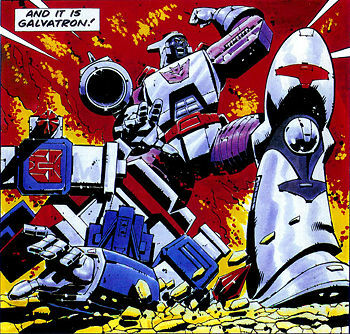 A lot of G1 guys needed extra material, such as a comic made in the 80's and many have had to wait until 30+ years later to even get proper characterization. So the BW guys are much more individually distinctive, unlike many G1 guys. And allnewsuperrobot had some great points brought up. the generations line is wholly different from the MP line, especially when you consider how much John Warden hates Beast Wars, and does not want to touch it, whereas Takara has no qualms with it. So the generations line argument is completely invalid in this case. while I am not calling it Gwunner BS, I do call out the fact that the 2 new versions of MP guys have come, and they are running, and they appear to be running new molds as often as the G1 guys. Movie and BW are equally if not more popular than the G1 guys, especially for today's market, where the movie kids (like me) are in the age group to get MPs, and the BW group are also into this line, and because this is practically the only place they can get a BW guy, they are pretty much in. I find it odd that we are even discussing/arguing this. I feel the way the MP line has gone, to be a rather fluid evolution. The expansion to other branches just seems natural. 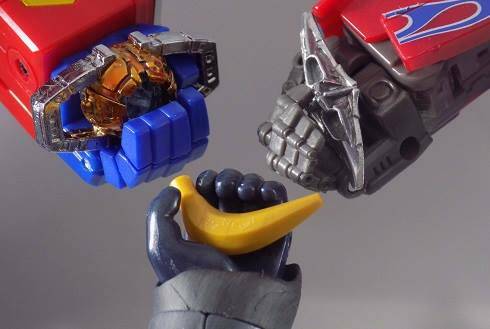 Besides, seeing an MP S1 Optimus Primal be made is a lot less surprising than a G1 Grapple. So saying that the MP BW doesn't have far to go before it's exhausted or people lose interest is ridiculous. shajaki wrote: I find it odd that we are even discussing/arguing this. I feel the way the MP line has gone, to be a rather fluid evolution. The expansion to other branches just seems natural. So, four 503 error botched attempts earlier, let's address this! 2) Beast Wars is Still G1. The line that saved Transformers from obscurity and all that..
3)As for my misquoted "Gewunner BS" line, which solely referred to the last paragraph of your then previous comment. It was made because no one was talking about G1. This is a Beast Wars discussion thread and that's where the discussion was. To start rattling the sabre for G1 was completely random and nonsensical. Lastly, I didn't "melt away" so don't flatter yourself and the only one throwing around 'insults' and 'arguments' was you. Everyone else was discussing about the topic at hand. So let's get back to that. You really can't compare the first six G1 MPs to the first six BW MPs since those first six G1 figures came from a time when MP was a novelty that happened every so often and not a regular occurrence like it already was when the BW MPs started. By the time MP-6 came around we only had three base molds (Optimus, Starscream, and Megatron). It was MP-9 Rodimus Prime that rebooted the modern G1 run which is much more varied and comparable to the first six Beast Wars offerings. Including exclusives and limited releases like Black Rodimus, Sunstorm, and Shadow Panther makes things messier than they need to be, but even with all of those guys included things are rather even between G1 and BW MPs. Comparisons can be made, where precedent is set. Like I said, If both lines had been started at the same time, the BW side wouldn't really be any different because there is nowhere else it can go. It's even reflected in Bayformers content. Wherein there are only six of those that are even known to exist at this point and two are Bumblebee! At the end of the day, they are all G1, aside from a couple of G2 redecos. To decry one series in the same line over the other is redundant. I have a friend who also collects the MP line and the only thing he complains about is why there has only been one (Autobot) Dinobot in nearly ten years? When I showed him BW Dinobot is being released in July, he was even more livid. I've also pondered why we never saw any more of the dinobots, and I put it down to how well grimlock sold and scale, after all wasn't it will mp 10 they set upon a new scale system? Isn't he supposed to loom over Prime, much like Dinobot does over Primal? Also as an aside, with G2 among the MP Line, does that pave the way for Jhiaxus and even Liege Maximo to enter this line? I see. I know next to nothing about G2 EG Toys, new characters etc and no one really talks about it at length. ReG1 removed it from canon too, apparently? 3,880 pages were recently viewed by 997 unique visitors. This page was viewed 1 times on Friday, April 19th 2019 6:00pm CDT. © 2019 Seibertron, Inc. DBA Seibertron.com. All Rights Reserved. Established June 2000. Seibertron.com is owned by Ryan Yzquierdo.